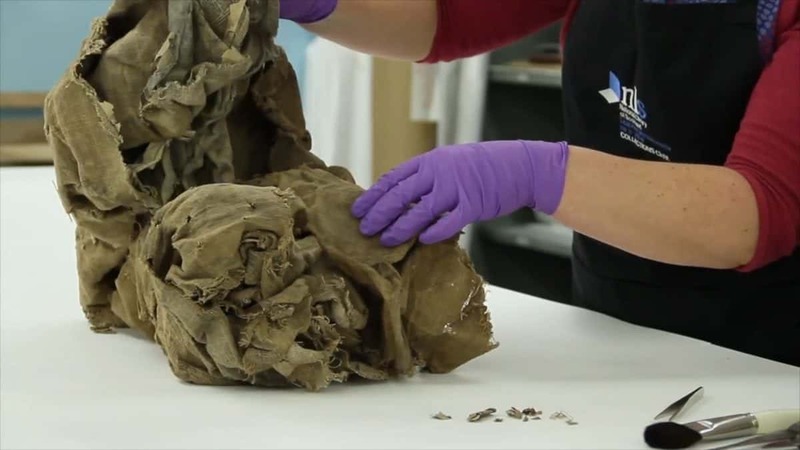 A rare 17th-century map which was stuffed up a chimney to stop draughts has been returned to its original home following painstaking restoration work. 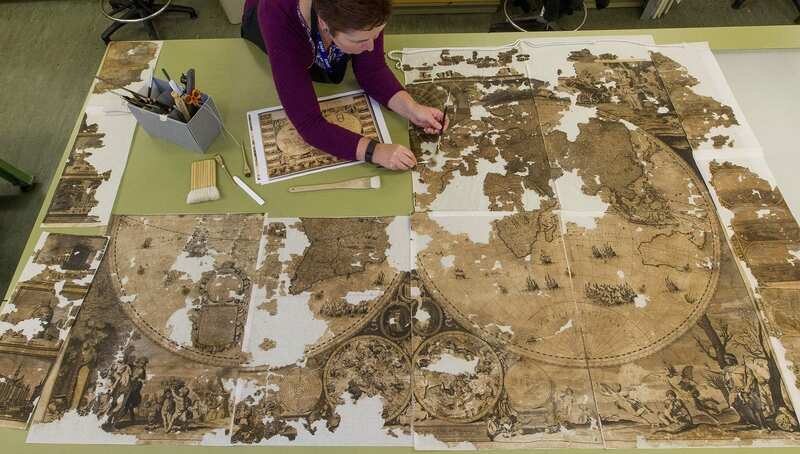 The wall map — one of only three in the world — was recovered during renovations on a house in Aberdeenshire last year. It was covered in dirt and severely damaged after being attacked by vermin and insects, and looked to be unsalvageable. 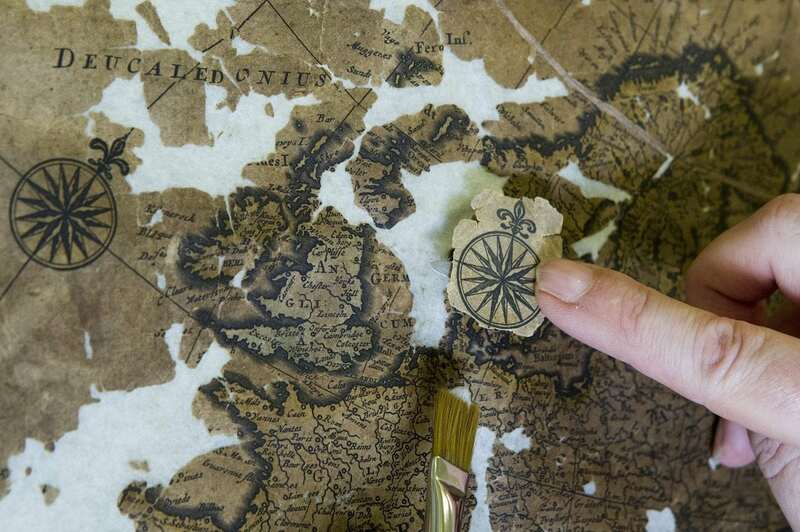 The map was all set to go to the skip, until someone had a change of heart and donated it to National Library of Scotland. The rare piece was in very poor condition and was thought to have been stuffed under floorboards close to a chimney for many years. It was eventually taken to the National Library of Scotland where it underwent intricate conservation work and then went on display in Edinburgh. The library’s conservation department set to work and the piece and it has now been returned to its home of Castle Fraser in Inverurie, Aberdeenshire. Produced by Dutch engraver Gerald Valck, the wall map of the world is dated to the late 17th century. It measures 2.2 metres by 1.6 metres and would have originally been hung on a wall to be admired by visitors. 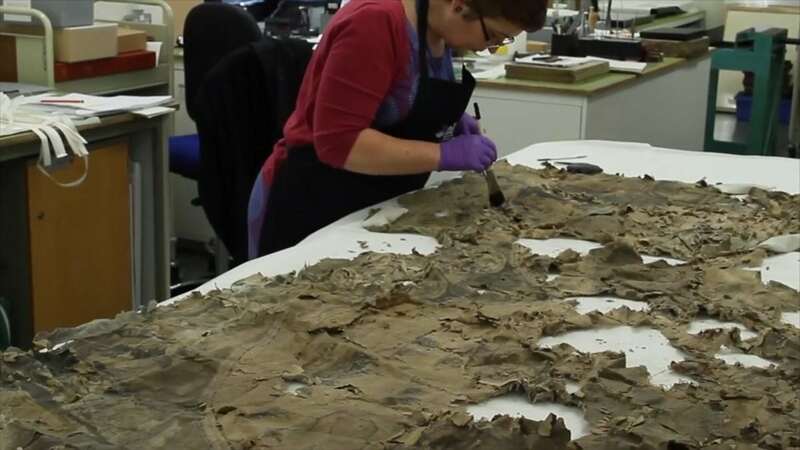 The complex work undertaken to conserve the map included opening and flattening it, separating it into its eight sections, removing the linen backing, dry cleaning and washing the paper and re-assembling the sections onto a new paper lining. “We are honoured to welcome this amazing map back to the Castle Fraser estate. It is a fascinating piece and of such historical significance. Drumnahoy House owner Robert Paterson and his daughter, who slept in the room where the map was discovered, were at Castle Fraser to welcome the map back to Aberdeenshire. Robert said: “I am absolutely delighted that the restored chimney map is coming home to Aberdeenshire for display. “The chance discovery of the map – hidden in my home for so many years – and its subsequent restoration make for an interesting story. “However, it is really the quality and detail of the map which takes your breath away,” he added. “I see something new every time I see it, whether it is the intricate coastlines, lakes and rivers, or the finely drawn pictures of plants, animals, people, ships and cities. Paula continued: “How the map came to Aberdeenshire is unclear. One theory is that it was owned by Andrew Fraser, the 4th Laird who was known to have Jacobite sympathies. The map will be on display at the historic castle throughout the summer. The team at the castle will be working with local schools and the community to uncover more of its fascinating story over the coming months.